Yorick Bruins is Agriterra business advisor for Tanzania. 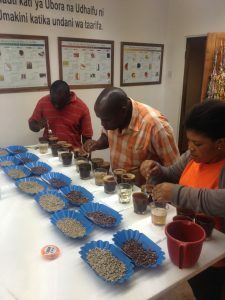 This week he explains what wild coffee is and how you can effectively do business in Tanzania. Yorick: “My first experience with Africa was picking ‘wild coffee’ in Ethiopia. Ethiopia is the only country where coffee still grows in the wild. 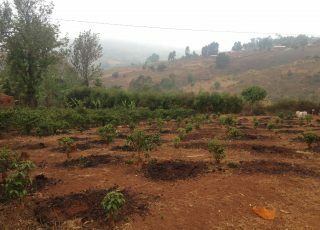 This should not be a major surprise as Ethiopia is the birth mother of all coffee. The wild coffee is not planted, merely harvested in the rain forest. The people who harvest are not necessarily farmers but more of a gatherers community. Picking the coffee berries is very intensive but it is a unique product with a very specific taste. We researched new marketing possibilities for this product in order to increase the living standard of local communities. 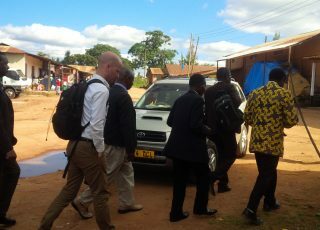 Right now I’m based in Tanzania for Agriterra and often do similar work, but on a larger scale. I try to develop new value chains for our partner farmer cooperatives to find out where their market opportunities can be found. We also connect with banks, financial institutions and government to make sure that the business environment is conducive for farmer cooperatives. “There are many avenues for growth for Tanzanian farmers which are interesting for Dutch (agri)-food companies. Horticulture and coffee, tea and spices come to mind. Because of the geographical make up and major sea port there are many logistical possibilities. Tanzania is growing at an enormous pace, but they have a lot of catching up to do compared to the rest of the region. Because of heavy socialist structures marketing your products efficiently is relatively new to farmers. Investing in quality products was not rewarded at all. They often have a limited idea about how the world market works and what their products are worth. If you’re interested in sourcing products from Tanzania you can contact Agriterra or me directly. We’ll discuss what you’re looking for in terms of quantity, quality but also certifications or certain production methods. We’re able to help you get in touch with the right cooperative for you. A proper introduction from a trusted party is essential in Tanzania because doing international business is still quite unfamiliar. Once the contact is established we can help build the relationship by facilitating samples, conversation with specific people in the organization, certification schemes, monitor contract implementation, et cetera. We can even join you as a translator. This is often necessary because many farmers still only speak Swahili, not English. The only thing we’ll never do is get in between the Dutch business and the farmer cooperative. We’re not a party of the transaction. We’re a facilitator and broker, and once a successful relationship is established, our involvement is necessarily scaled back. In the previous article Yorick shared with us why farmer cooperatives will become increasingly important in feeding our planet.